OH, I hate when that happens.....you feel like you didn't get to complete the dream! I had a crazy one last night. I dreamed I was one of the kids in The Brady Bunch, however, I was a 7th child, I didn't replace any of them. This Brady Bunch was Amish, and one of the kids (I believe it was Peter) wanted to be out of the community, so he killed a kid his age, and ran off. The family was blamed for his murder, and stood trial. We were found not guilty, but the community shunned us anyway. I dreamed I was one of the kids in The Brady Bunch. I can just hear you! 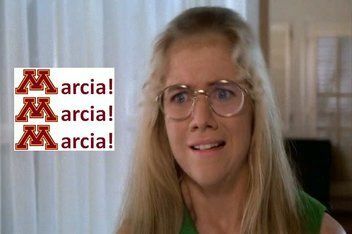 "Marcia, Marcia, Marcia!" Hmmm, Jung could go to town with that dream! I dreamed during my nap today that there was an ipad that looked like a notebook when it was not on. When you turn it on, you could take several parts out of it, including a pair of glasses that were sunglasses, a camera and a video camera too and they plugged into a USB port in your eyebrow. There was also a comb and hair came out of its teeth; you could control the color and texture of it so you could add hair to your head at any time. That's one heck of a useful gadget, Lee! I think that's one of the most famous, or well known, episodes. Haha! There is always an uptick in dreaming when there's a full moon, have you noticed? How would people think about me merging the two dream topics? You may as well, neaten the place up a bit.